Discrimination in the workplace and hiring process should never be the elephant in the room. In order to fight against discrimination, it is important that employers face the matter head on. However, many business owners and even human resources professionals find themselves wondering exactly what is and what is not discrimination. Fortunately, Spark Hire has put together the infographic below to address these questions in a visually appealing format. – Video resumes and video interviews are EEOC compliant. – Pre-employment exams and disability-related questions can be made after an offer – as long as all employees are subject. – Some tips to avoid discrimination include: establishing written evaluation criteria, asking applicants the same interview questions, and conducting in-house training. Check out the infographic below and let us know what you think in the comments. 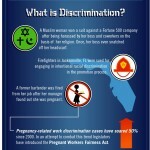 What is your company doing to prevent discrimination in the workplace and hiring process?